Occasionally I’m asked to do package design. 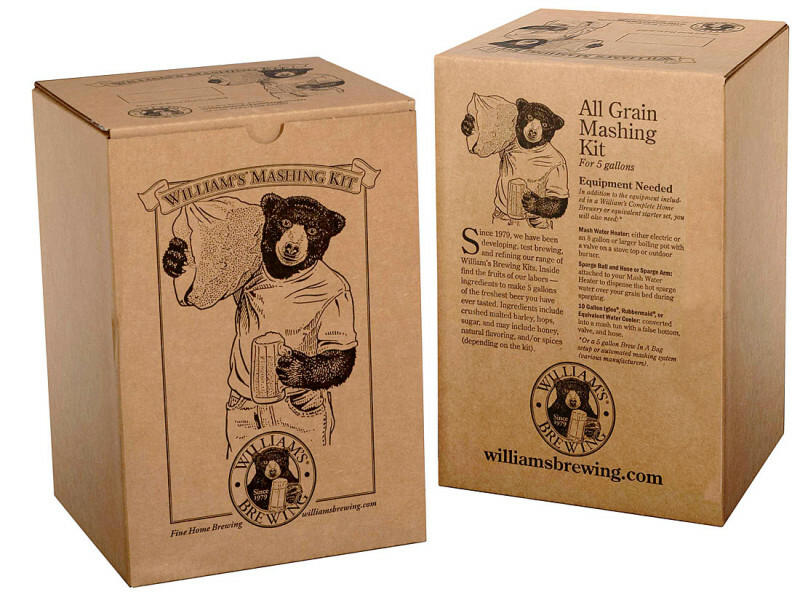 William’s Brewing had a plain cardboard shipping box for their Mashing Kit which they wanted to print in black only. Color is fun but there’s an enjoyable challenge in using just black ink.